The new family game Dino Race and the WW2 Wings of Glory Special Packs featuring the 4-engine bombers are now shipping to distributors and will be available in North American stores starting on November, 28th. In Europe and other regions, the new items are expected to be in stores in the coming weeks. 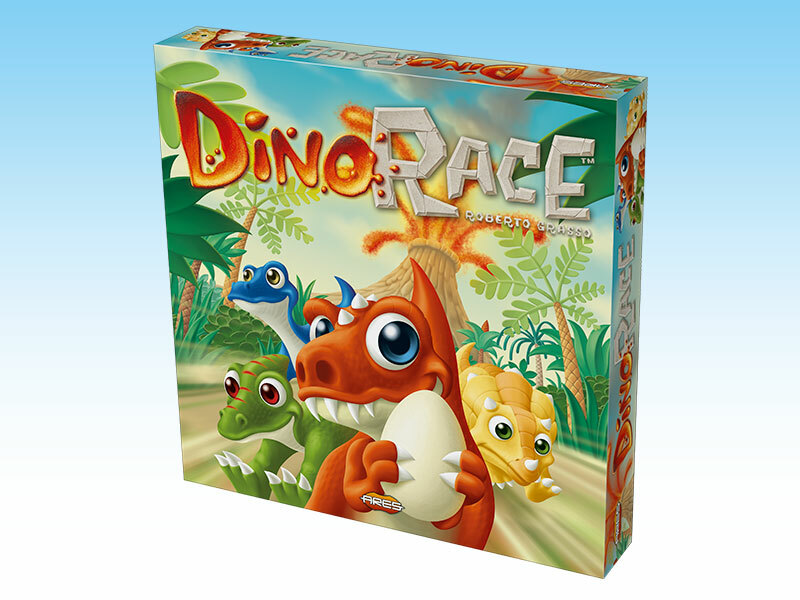 Dino Race is a fun, simple and fast game, for two to four players, age 6 and up. In a crazy race, each player controls a couple of dinosaurs, running away from a raging volcano and a river of lava, toward safety. They run through plains, swamps, woods and deserts, and play tricks upon his opponents, avoiding the nasty tricks of them. The game features eigth beautiful figures of cute little dinosaurs (two for each species) and one sculpted dino egg, 16 modular terrain tiles to form the racing track, the event dice, 52 playing cards, tokens and counters. 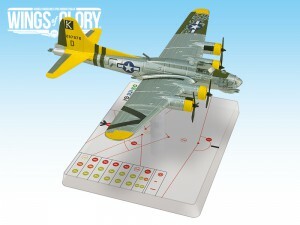 The WW2 bomber B-17G "A Bit o'Lace"
The new WW2 Wings of Glory Special Packs feature the bombers B-17F “Memphis Belle”, B-17G “A Bit o'Lace”, Avro Lancaster B.III “Grog’s the Shot”, and Mk.III Dambuster “Popsie”. 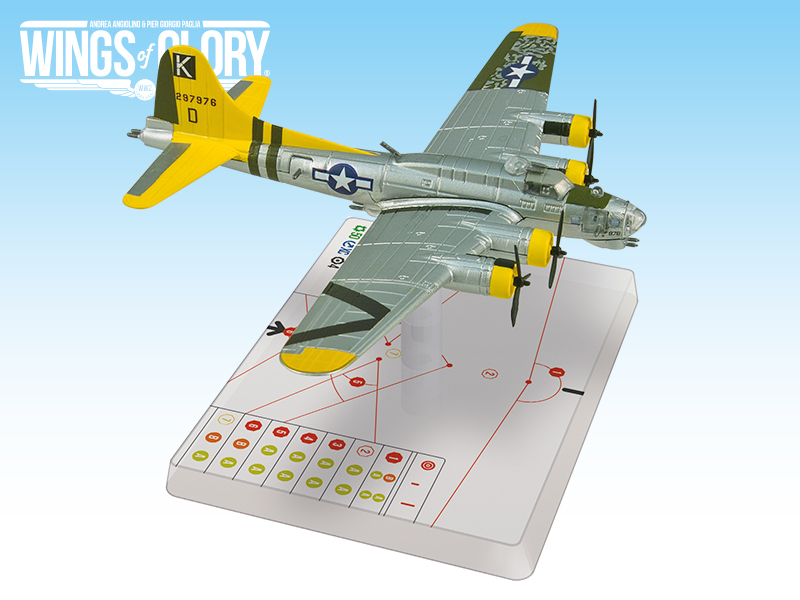 Each pack includes a 1-200 scale miniature, a special base with gaming stats, a variable altitude flying stand, and a specific deck of maneuver cards, as well as specific rules and components necessary to use the airplane. These Special Packs also include the Industrial Complex card and rules, and in the case of the Dambuster, a paper play mat representing a dam and the surrounding area, additional counters and specific rules.